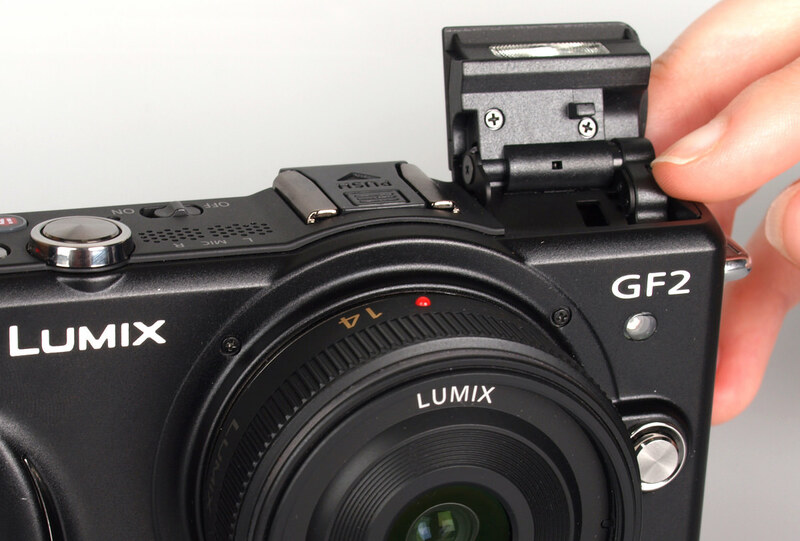 Joshua Waller reviews the Panasonic Lumix DMC-GF2 - the compact mirrorless camera from Panasonic sits in the middle between the popular GF1 and the tiny GF3. 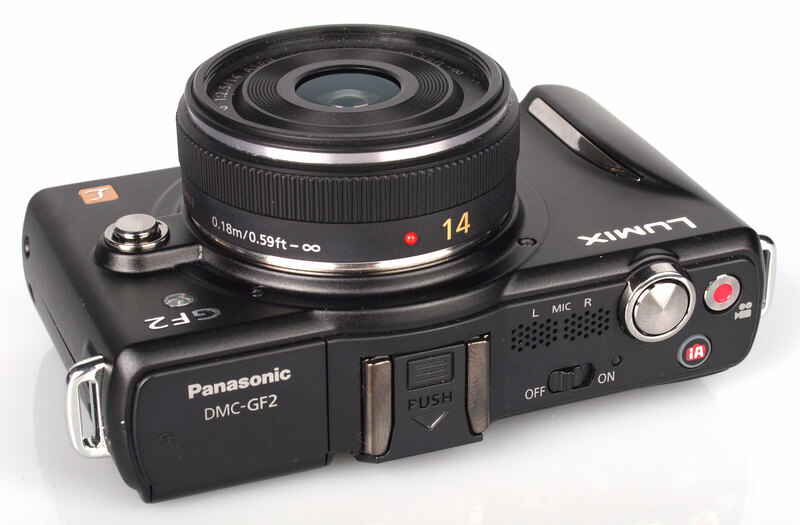 The Panasonic Lumix GF2 is an update to the Panasonic Lumix GF1, the GF2 compacts the camera by 19%, removing the mode dial and introducing a touch screen, which was seen as a backwards step by many. 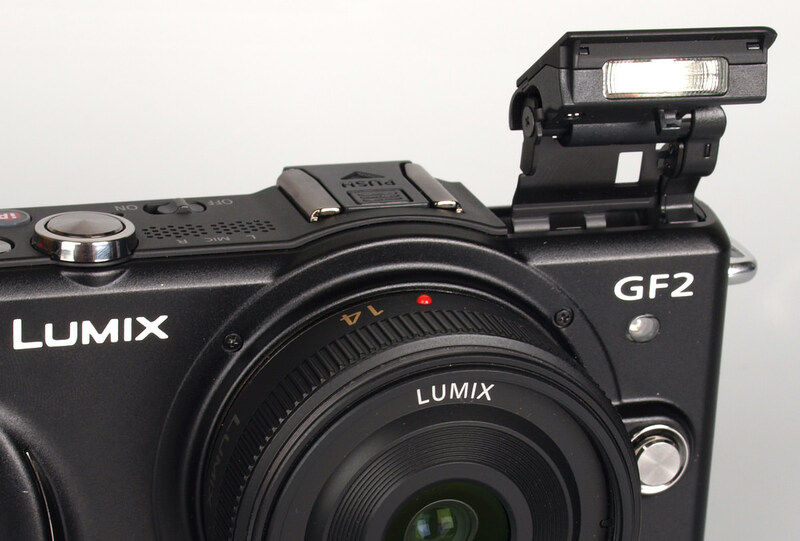 People loved the GF1, and wanted a more advanced compact from Panasonic, but instead had to look at the G2/G10/GH1, GH2 or the Olympus PEN series instead, but perhaps the GF2 still offers what they're looking for? The GF1 has been so popular with photographers, we even covered it numerous times: Panasonic Lumix GF1 as a Landscape camera, Panasonic Lumix GF1 with Sigma 10-20mm Lens, Olympus PEN E-P1 vs Panasonic Lumix GF1, and Olympus PEN E-P2 vs Panasonic Lumix GF1. 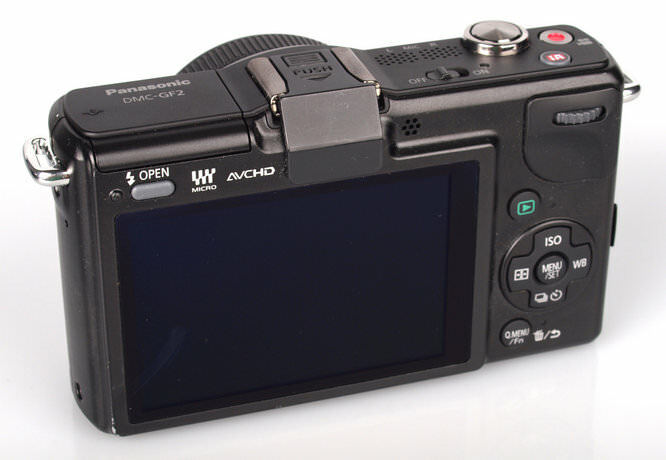 The GF2 features are improved over the GF1 is some ways, with a touch screen, stereo microphones, dedicated "iA" (intelligent Auto) button, 3D photos, Full HD video, improved ISO range (upto 6400), and increased shooting speed giving you 3.2fps continuous shooting, as well as a lower price. But the GF2 also has shorter battery life, doesn't feature a mode dial, removes the switch for continuous shooting mode, and removes a number of other buttons from the back. * Battery life figures quoted dependant on lens used with the camera. The GF1 features digital filters called "My Color", this was renamed "Creative Control" on the GF3 / G3, the GF1 also featured "Film modes" this was changed to "Picture Adjust" on the GF2, and then "Photo Style" on the GF3/G3 etc. It's clear from the table, above and below, that the GF1 had the most options and presets, although the GF2 adds Cinema, but has drastically less presets for picture adjust. The handling, design, and build quality of the Panasonic Lumix GF2 is very good, although the front grip is a little slippery and a rubberised grip would be better. The buttons are quite good, although there are less buttons that the predecessor, due to the touch screen giving access to these controls instead. The layout of the buttons on the back is pleasing with the camera feeling very easy to use, the four way control giving access to some of the most commonly used features such as ISO, WB, Continuous shooting, focus, and the Quick Menu button can be setup as a custom function button. Another neat feature of the way the flash is designed to pop out of the camera, is that you can use it at a bounce flash, simply by tilting the flash to point straight up. Menus - The touch screen gives quick access to a number of controls, and also lets you switch the modes. Alternatively you can enter the full menus with the Menu button on the back, and then use the 4 way controller to go through the options and select what you want. The quick access buttons on the back of the screen can be customised to show your favourite options, and you can drag and drop the icons from the top of the screen to the bottom if you don't like the default options presented. The touchscreen also has the added benefit of letting you precisely control what area you want to focus on. Battery life - Battery life is rated at 320 shots according to CIPA standards, we were able to take 400 shots before the battery went flat, this is better than expected, although your mileage may vary depending on use, and whether you shoot with continuous shooting, or regularly switch the camera off and on. 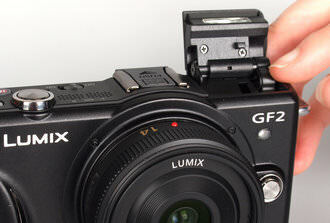 Speed - we tested the Panasonic Lumix GF2 and compared it to the Panasonic Lumix GF3, and the Samsung NX11. 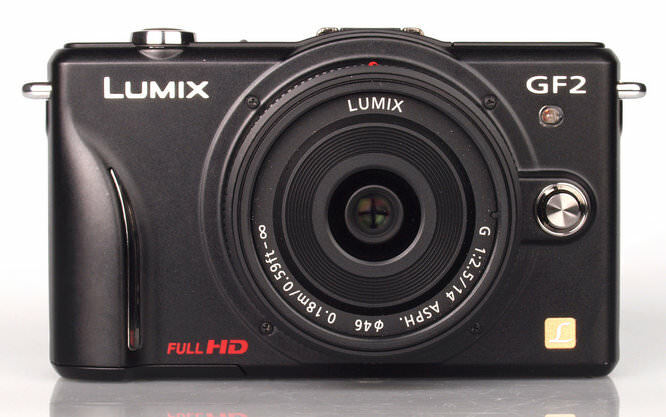 You can also compare the results to the new Panasonic Lumix G3 as well. * 14-42mm Olympus M Zuiko 14-42mm II R lens used for all m43rds cameras, ^ tested with new Samsung Class 10 memory card. Performance was very good with extremely quick focusing, shutter response, and excellent shot to shot time even with flash. 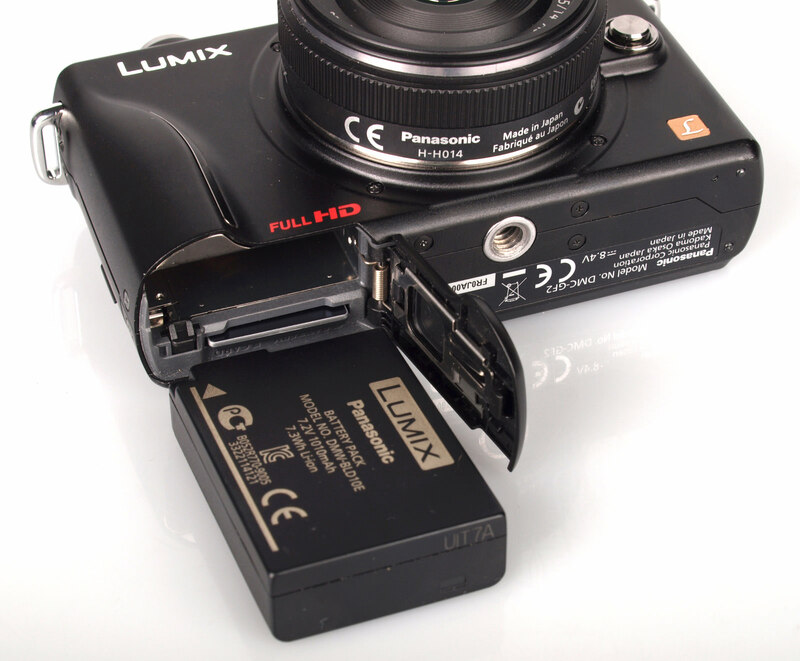 Continuous shooting is very good at 3.8fps, and the performance with a high speed card is excellent allowing 35+ shots before the camera slows down when using a Samsung Class 10 SD card. Here you can view sample photos taken with the Panasonic Lumix GF2 under a variety of conditions, with further sample photos available in the equipment database. Portrait flash shot - low red eye. The camera lets you bounce the flash, and has built in red eye reduction. 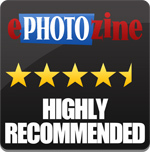 The GF2 produces images with good detail and good colour. Dynamic range can be enhanced using the iContrast options, which are Off, Low, Standard, and High, and this has turned a photo that was mostly a silhouette of ruins, to a photo with detail in the shadow areas. These example photos show the camera is capable of producing pleasing images with good colour and detail. Macro performance - with the 14mm f/2.5 lens the camera isn't ideal for macro photos, although the lens does focus with the subject 18cm away from the lens. The 14-42mm kit lens from Panasonic or Olympus is much better for macro shots, and we've used the Olympus kit lens for some of the macro shots shown. ISO Noise - There is very low noise at ISO100 and ISO200, with slight chroma noise starting to appear at ISO400. Noise increases at ISO800. There is more noticeable noise at ISO1600. At ISO3200 noise levels are borderline acceptable, with some loss of colour, although with some additional noise reduction could produce usable images, or with resizing would be suitable for web use. ISO6400 is best avoided with high noise levels, and noticeable loss of colour, particularly the darker shades in our test charts. Auto White Balance performance - Auto White Balance performs well under both tungsten and fluorescent lighting, with the tungsten preset giving a warmer result. There isn't a preset for fluorescent lighting on the GF2 or Panasonic cameras in general, as the auto white balance does a good job (and often does a better job than presets on other cameras as well). Some moire is visible in the crumpler bag in the first two shots, although we did not see this effect in any other shots. Lenses available: The GF2 and GF3 are sold with the 14mm f/2.5 kit lens as the preferred lens as this maximises the small size of the cameras, and unlike Olympus, Panasonic don't have a collapsible zoom lens, so the 14-42mm lens looks quite large on these cameras, taking away a lot of the pocket-ability. The 14mm f/2.5 lens is a good lens generally, but does has softer corners than the Olympus 14-42mm II R kit lens, but has very sharp detail in the centre. Giving a 28mm wide angle view it might be a bit limiting for some and to give the camera more versatility a zoom lens is recommended. As it's part of the Micro Four thirds system, there is an abundance of lenses to choose from, from both Olympus and Panasonic, and others! There is also a number of adapters available to allow you to use DSLR lenses, as well as a lot of third party "toy" lenses like the Pinhole PenWide, Holga, and others. 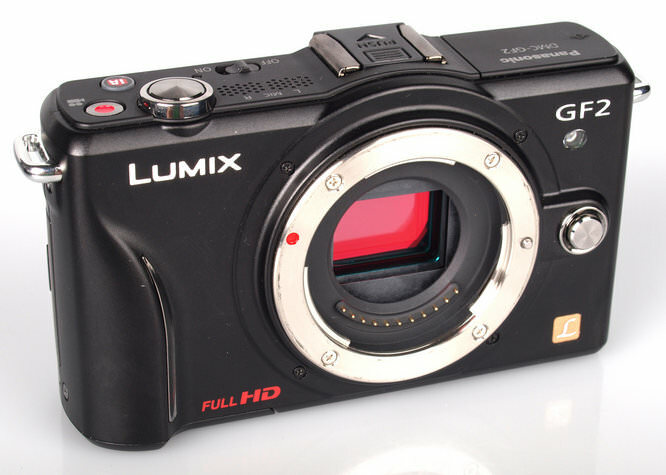 The Panasonic Lumix GF2 records full HD video with stereo sound, and has a number of useful options such as continuous or manual focus, digital telephoto converter, wind reduction, microphone level display, and flicker reduction for TVs. The Panasonic Lumix GF2 is great value for money, cheaper than the GF1, and as it's older than the GF3, it's also cheaper than that. The camera is around the same price as the Samsung NX11, and Sony NEX-5, and costs less than some of the Olympus PEN models, such as the Olympus PEN E-PL2. The Panasonic Lumix GF2 is a bit of a bargain at the moment, offering a compact, controllable camera with great image quality, high speed focusing and continuous shooting, and full HD video with stereo sound for around £400 with kit lens. Lots of adjustable features and full manual controls make this a fun camera to use, and the small size makes it easy to take on a casual day out, when you normally wouldn't want to carry a large camera with you. 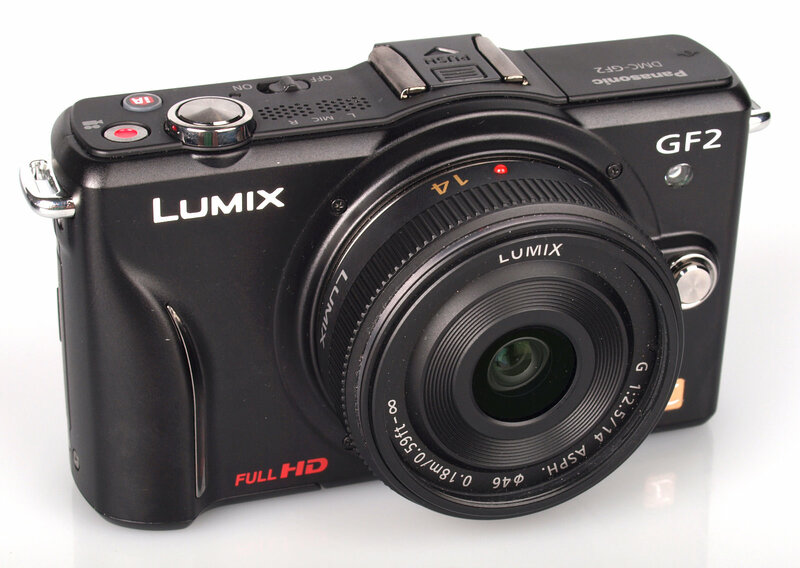 The Panasonic Lumix GF2 offers DSLR quality and controls in a significantly smaller package. I have a GF2 which I bought to replace my GF1. I bought it for the smaller physical size as I use it as a take every where camera. I kept the 20mm f1.7 lens from the GF1 and I use this as my normal lens. It increases the size of the camera very little but is rather sharper than the 14mm f2.5, though the 14mm is no slouch. I slip the 28mm on when I really want to minimise the size for slipping in a jacket pocket and when I want to film from my bike. The movie performance of this camera is stunningly good. I've put a video at [link=http://www.youtube.com/user/spogley#p/u/8/pz1be0LNVWM]Bike ride[/link] You can tell the sound is good, too, with its wind noise suppression being very effective. I also have the 14-140mm, a truly excellent zoom with a wide range, excellent sharpness and a particularly good anti-shake mechanism. This lens is great for video, too, as Panasonic have made the focussing very low noise just for this purpose. You can see this one in action here [link=http://www.youtube.com/user/spogley#p/u/9/xufSOho0MJI]Blues Club[/link]. This is in very, very low light and the sound, again is excellent. Noise wise, I find the GF2 about 2 stops behind my Pentax K5. It's great little camera which I think I'll be keeping for a long while. The GF3 has gone too far in the point 'n snap direction for me, since it won't take the electronic view finder. I find the EVF, while not particularly good, much better than the rear screen for many uses, making the camera a bit like a little electronic Leica in use. I have a GF2 which I bought to replace my GF1. I bought it for the smaller physical size as I use it as a take every where camera. I kept the 20mm f1.7 lens from the GF1 and I use this as my normal lens. It increases the size of the camera very little but is rather sharper than the 14mm f2.5, though the 14mm is no slouch. I slip the 28mm on when I really want to minimise the size for slipping in a jacket pocket and when I want to film from my bike. The movie performance of this camera is stunningly good. You can tell the sound is good, too, with its wind noise suppression being very effective. I also have the 14-140mm, a truly excellent zoom with a wide range, excellent sharpness and a particularly good anti-shake mechanism. This lens is great for video, too, as Panasonic have made the focussing very low noise just for this purpose. You can see this one in action here Blues Club . This is in very, very low light and the sound, again is excellent. Noise wise, I find the GF2 about 2 stops behind my Pentax K5. It's great little camera which I think I'll be keeping for a long while. The GF3 has gone too far in the point 'n snap direction for me, since it won't take the electronic view finder. I find the EVF, while not particularly good, much better than the rear screen for many uses, making the camera a bit like a little electronic Leica in use. I`ve just got myself the GF2 kit with the 14mm Pancake lens. Why, because I wanted the 14mm pancake lens and the GF2 kits including the 14mm prime can be had for a whole lot cheaper than buying the lens on its own, I got both camera and 14mm lens for only £169. True there is not much of a grip, I added the ER case, these also can now be picked up very cheaply. Using the body part only, transforms the handling of this camera, even with sweaty hands you can still get a good grip. I also found that the case is also designed to take the GF2 + 20mm pancake and since the 14mm lens is smaller, I had no trouble closing the case with a lens hood still attached. There have been a fair few remarks here and there claiming the removal of the mode dial that appeared on the GF1 is not a good move, in reality I found it a good move not a bad move. Changing modes is a simple two taps on the rear screen, quicker than using a dial. All in its a superb little camera with more advantages than negatives. I`ve just got myself the GF2 kit with the 14mm Pancake lens. Why, because I wanted the 14mm pancake lens and the GF2 kits including the 14mm prime can be had for a whole lot cheaper than buying the lens on its own, I got both camera and 14mm lens for only £169. True there is not much of a grip, I added the ER case, these also can now be picked up very cheaply. Using the body part only, transforms the handling of this camera, even with sweaty hands you can still get a good grip. I also found that the case is also designed to take the GF2 + 20mm pancake and since the 14mm lens is smaller, I had no trouble closing the case with a lens hood still attached. There have been a fair few remarks here and there claiming the removal of the mode dial that appeared on the GF1 is not a good move, in reality I found it a good move not a bad move. Changing modes is a simple two taps on the rear screen, quicker than using a dial. All in its a superb little camera with more advantages than negatives.